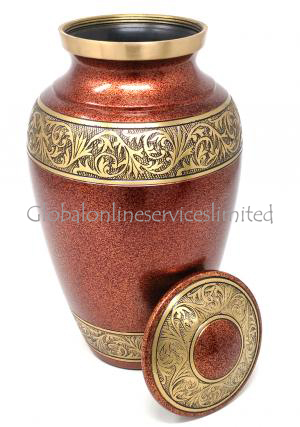 Gold Engraved Brass Floral Adult Urn for Funeral Human Ashes. 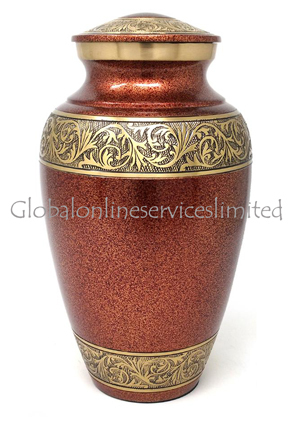 Gold Engraved Brass Floral Medium Urn for Funeral Human Ashes. Sky Blue Engraved Band Brass Adult Urn for Funeral Human Ashes. 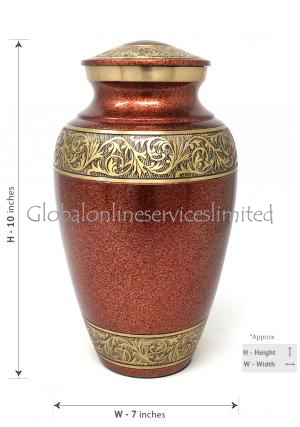 Product Details of Gold Engraved Brass Floral Adult Urn for Funeral Human Ashes. 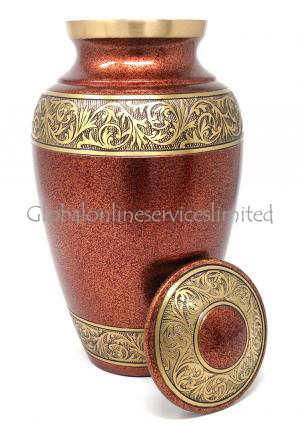 Gold engraved adult brass memorial ashes urn is a large urn for ashes made of high quality brass metal with the engravings of gold floral bands raised across the urn at top and bottom. 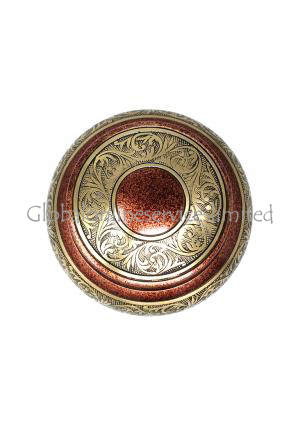 Faux Gold finish with glossy texture and hand tooled to perfection. 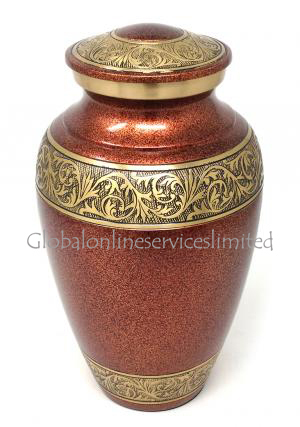 Gold engraved brass cremation adult ashes funeral urn has decorated gold floral engravings on the top lid with simple finish gold engraved print. The lid on top acts as secure top to preserve ashes of the cremated and close using threading inside the lid. Adult urn capacity: 200 cubic inches, weight: 2.73 Kg; dimensions (inches): height: 10", free standard delivery in UK or selected expedite shipping!